Buying a new construction home can be a very exciting endeavor--you get to live in a place no one else has, one with your personality built right in. Maybe that’s why 2015 is seeing a spike in new home sales, with February representing the highest number in seven years. Large master-planned communities like Nocatee offer homebuyers thousands of home/neighborhood/builder combinations, and all this choice can make it easy to forget how different buying new construction is compared to existing homes. In this blog series, we’ll walk you through several ways to ensure a smooth process, from touring model homes to closing. 1. Find the right agent. While a builders’ onsite agent/sales consultant is extremely knowledgeable about specific home products, some prefer to find a buyer’s agent who isn’t associated with a specific builder and/or community. If you choose to work with an independent agent, you’ll want to be sure this agent has experience in new construction homes, as the buying process is very different. 2. Do your homework on the builder. It’s important to research your potential builder to see how they resolve issues, or if there are complaints to the Better Business Bureau, or negative online reviews. Of course, not everyone will always be satisfied, but if there is an overwhelming amount of negative comments, it’s best to save yourself a headache and find another builder in that same community, if that is an option. 3. Research the area and the neighborhood thoroughly. According to FrontDoor, you should do your homework on the zoning laws of your potential new neighborhood. Contact the community’s master-developer regarding plans for future developments that could impact the value of your home and your quality of life, such as new roadways, railways or other elements that affect views, traffic or noise levels. 4. Read the fine print (and have a lawyer review it, too). The contract used to initiate a new construction home sale is more involved than that of its existing home counterpart. There are several unknowns and things that could possibly go wrong because you’re purchasing a home that has yet to be built. 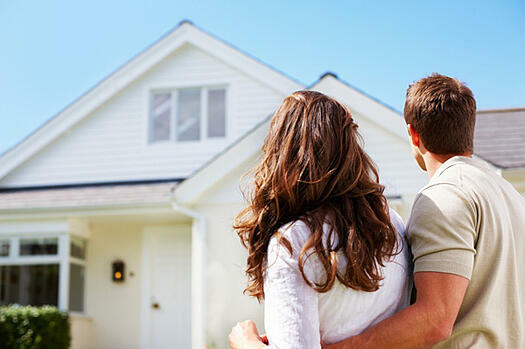 Be sure a real estate attorney who has your best interests in mind gives the go-ahead before you sign anything. 5. Know exactly what the HOA rules and fees are. Depending on the neighborhood, the homeowners’ association may have strict guidelines and restrictions in regard to lawn decor and storage of recreational vehicles. The fees can vary drastically, too. Be sure you fully understand all rules and fees prior to signing on the dotted line. 6. Set a realistic timeline. From obtaining the proper permits to laying the foundation and putting on the finishing touches, the typical timeline for building a home ranges from four months to a year. There are several factors that impact this timeline, from weather to availability of labor and supplies. Be sure your contract lays out the specifics and know that estimated timelines aren’t set in stone. Be patient and keep your eyes on the prize--a brand new home with the finishing touches you selected. Throughout this month’s blog series, we’ll share some additional tips about contracts, upgrades, warranties and inspections associated with new construction homes.